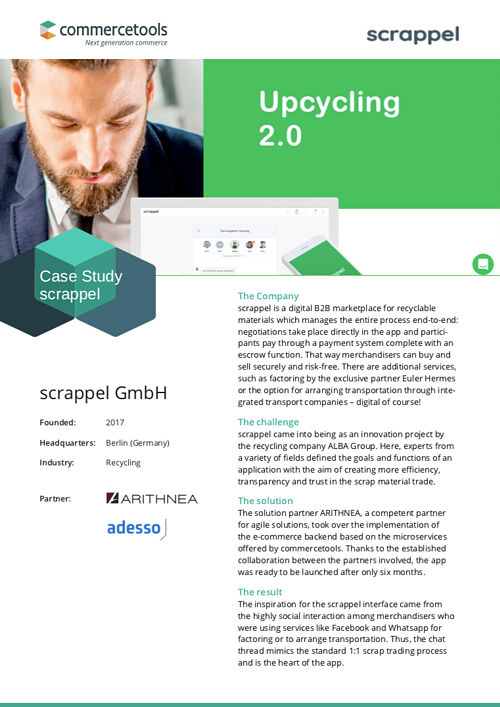 Upcycling 2.0: scrappel came into being as an innovation project by the recycling company ALBA Group. Here, experts from a variety of fields aimed to create more efficiency, transparency, and trust in the scrap material trade. The result is a digital B2B marketplace for recyclable materials which manages the entire process end-to-end: negotiations take place directly in the app and participants pay through a payment system complete with an escrow function. You can find more on the scrappel website.